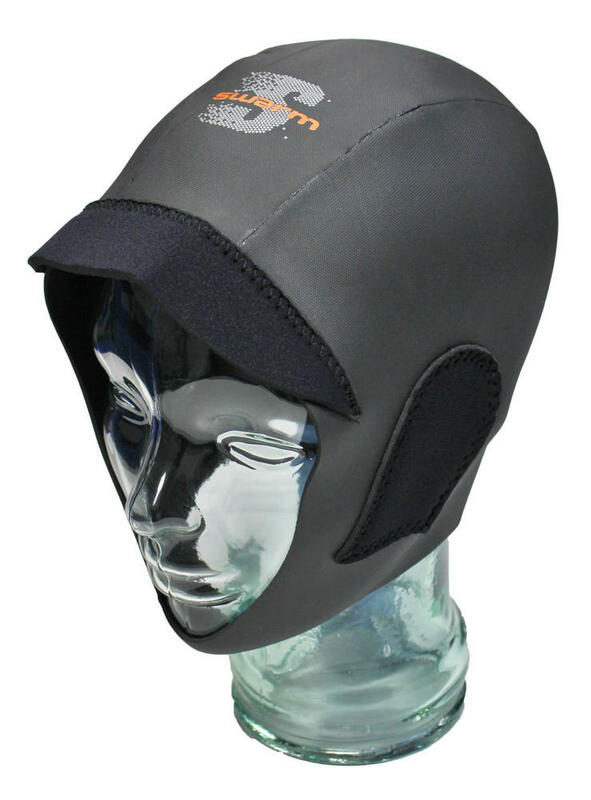 The Typhoon Swarm 3mm Wetsuit Hood Surf Cap is a warm and comfortable Surf Cap that has been specifically designed for surfing. The Typhoon Surf Cap is made from stretchy 3mm Titanium lined X-Flex Neoprene. It is a soft and supple Surf Cap whihc is easy to put on and take off and it features Ear Perforations and a Chin Strap. The Swarm Surf Cap has an Integral Peak which is designed to deflect the glare of the sun and offer some protection for the eyes from surf spray. Available in a number of sizes, the Swarm Wetsuit Hood Surf Cap is an excellent choice for anyone intending to spend any length of time surfing or bodyboarding in cold water.